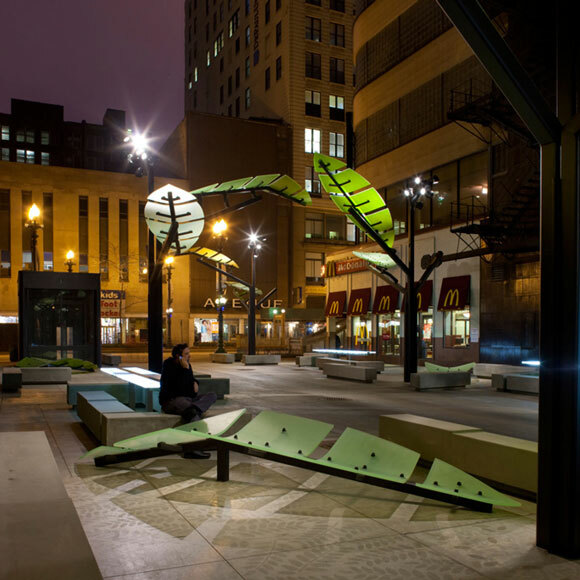 see this here click here to find out more The Quincy Court project in Chicago was a commission for the General Services Administration while working for Rios Clementi Hale Studios. 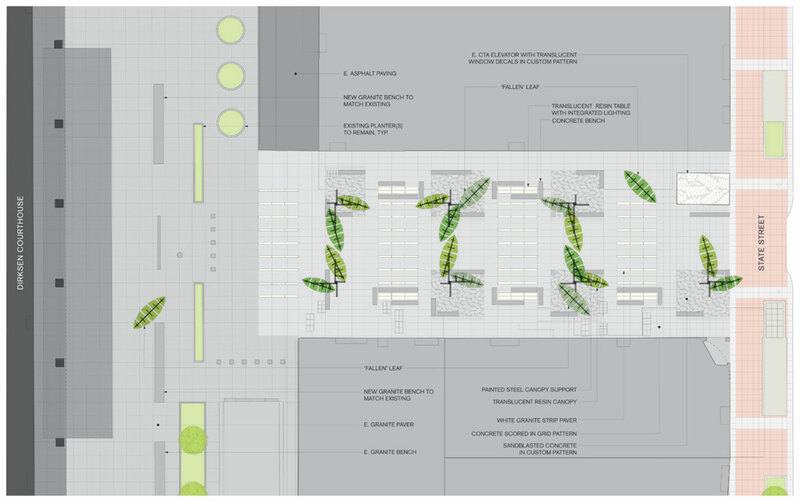 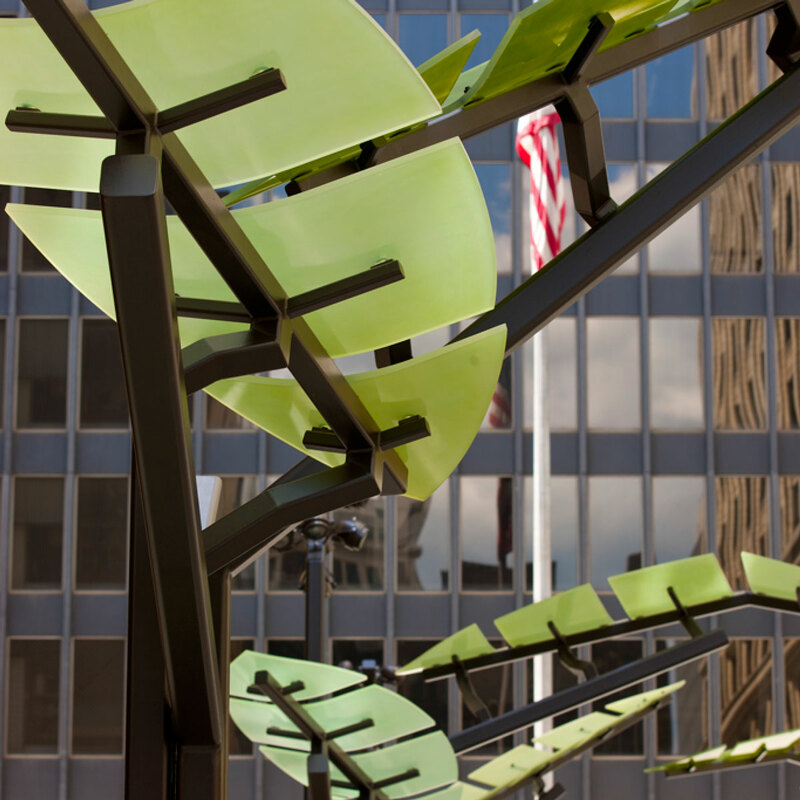 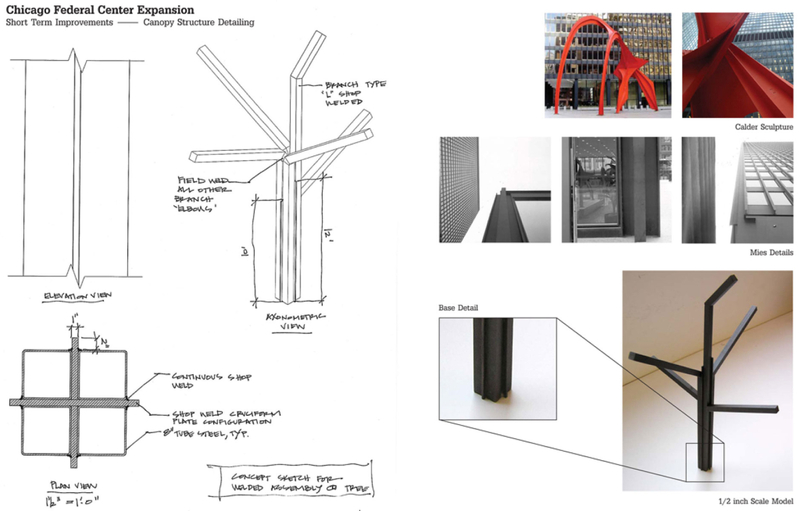 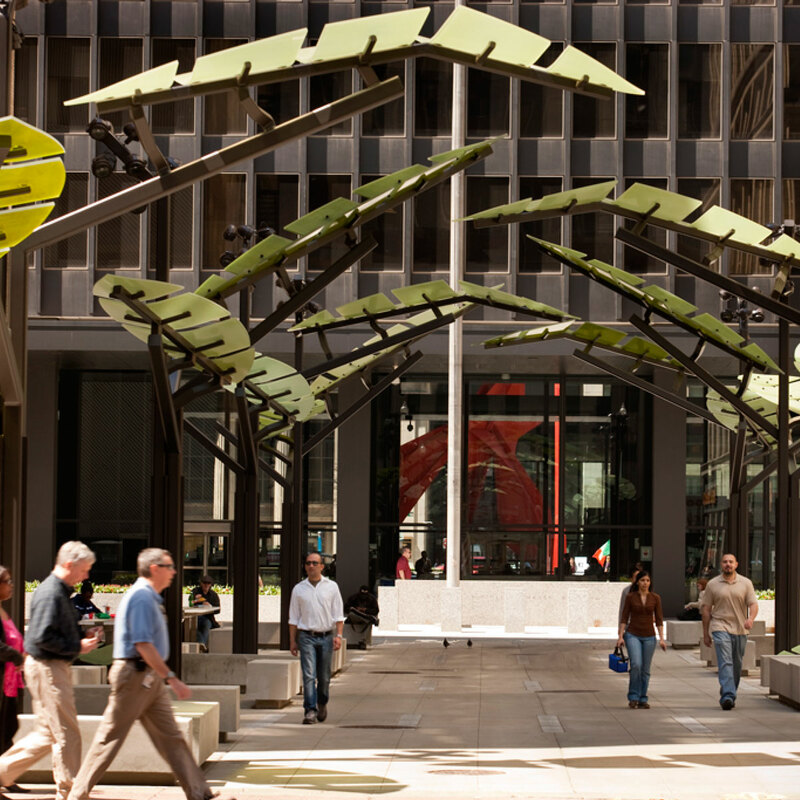 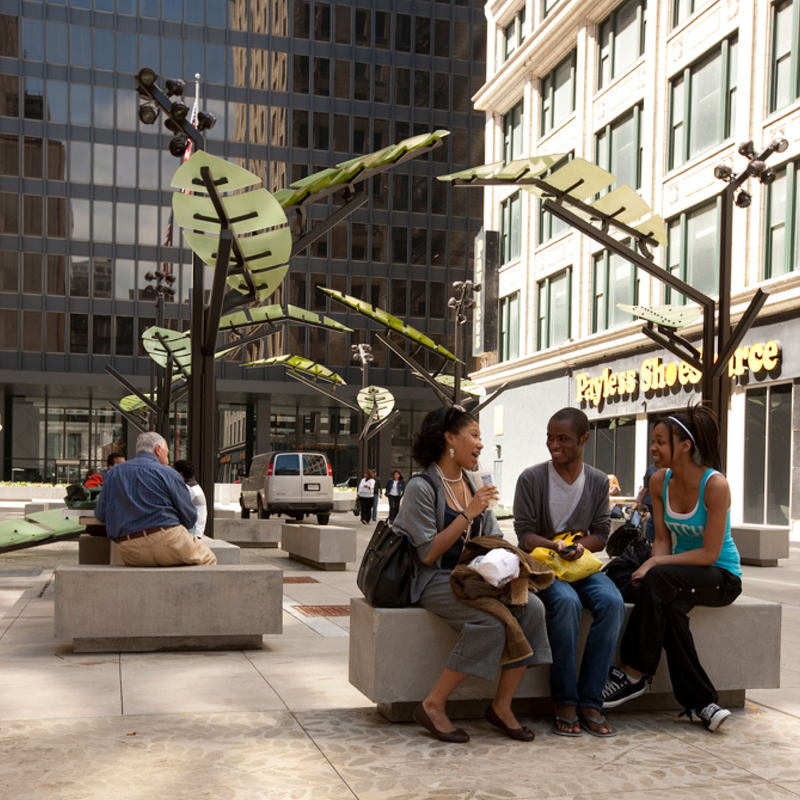 A service alley between the historic Mies van der Rohe federal building and historic Sate Street was converted into a pedestrian friendly public space by adding pieces of public art and urban amenities. 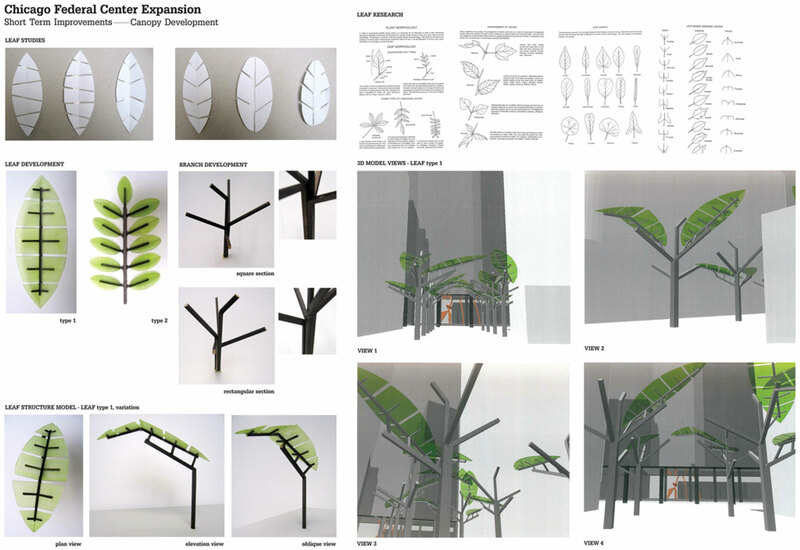 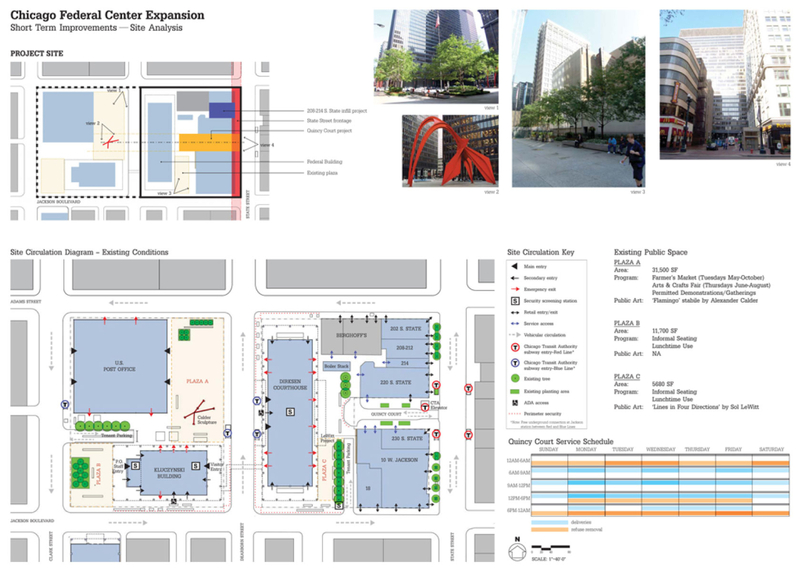 Creating a solution that mitigated the scale between the modernist building and the retail environment, while also adding much needed security in a post 911 environment was a challenge, but the GSA had a commitment to a ‘good neighbor’ policy that allowed us to be playful. 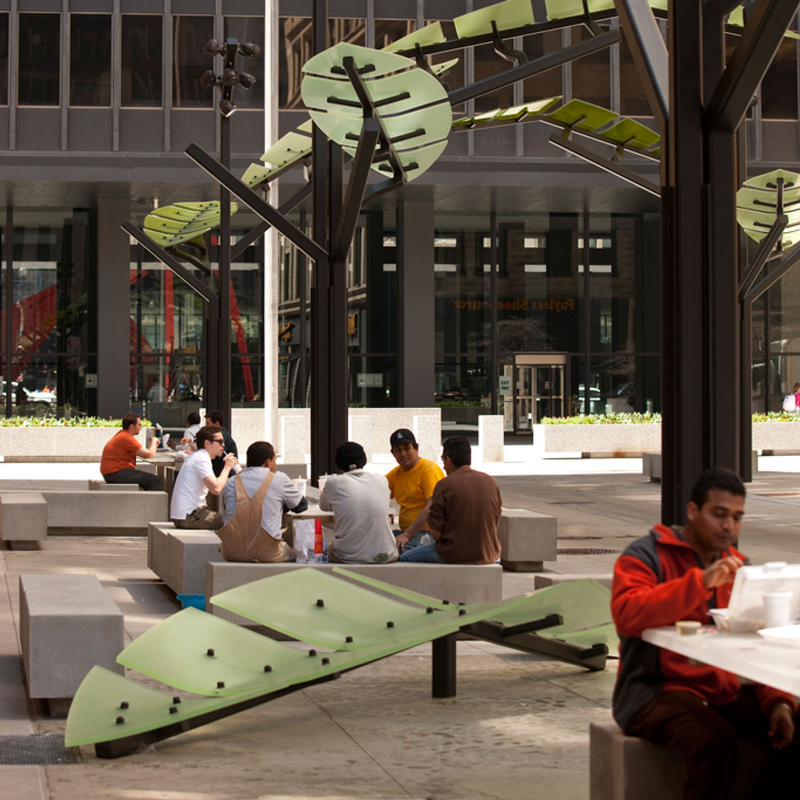 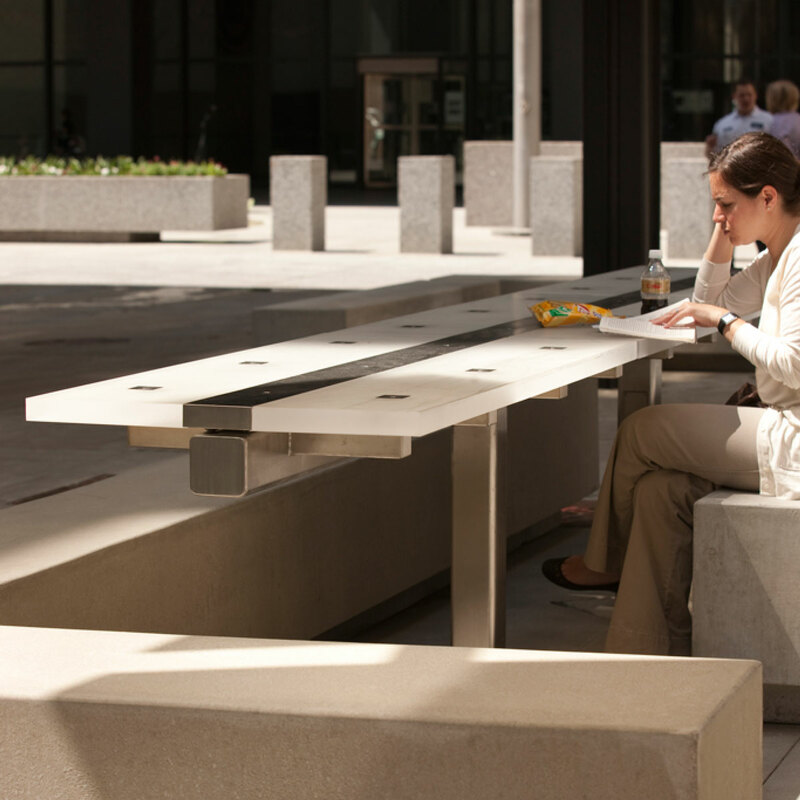 the result a space that has become a lunchtime destination for office and retail workers, as well as the local university population.